Mahendra Kumar Jain, the proprietor of M.R. Roller Flour Mill - established at Agricultural Land at Mantripukhri area was arrested along with his wife Mrs. Shobha Devi Jain, co-partner of the firm, by City Police in connection with a complaint lodged by SBI Head Office Manager over failure to clear loan debt of the bank on September 7. Earlier, Imphal Times had reported that the proprietor of M.R. Roller Flour Mill, Mahendra Kumar Jain had taken loan amount of Rs. 8 core from State Bank of India using fake documents. Vigilance department of State Bank of India (regional Branch) had conducted enquiry regarding the report. But the bank authority instead of taking action had carpeted the issue and pressure the SBI Head Office Imphal to recover the loan. As per the complaints Mahendra Kumar Jain had not been paying the loan debt since May 17, 2017. After producing at the court both were released on bail on the following day. As per report both Mahendra Kumar Jain and his wife went outside the state for medical treatment and returned on September 26. Source said that M.R. Roller Flour Mill has not been functional for years with no appropriate machineries in the mill and also added that flour mill remain closed after this news paper exposed some part of financial irregularities committed by the proprietor. The source further added that Mahendra Kumar Jain was bankrupt. But to the surprise some unseen force seem to be making escape route for Mahendra Kumar Jain and his family without getting opportunity to the state vigilance department to investigate on how he cheated statement of account to relax taxes. The proprietor of M.R. Roller Flour Mill, Mahendra Kumar Jain besides failing to pay the debt had not filed any Income Tax returns since the financial year 2015-2016. Source said that the Director of M R Roller Flour Mill Pvt Ltd, Mahendra Kumar Jain had submitted two different sales and purchase figure of the M.R Roller Flour Mill in Income tax return and sales and VAT tax return from the financial year of 2011-2016. It is found to be a difference of sales figure more than ‘170,00,00,000(one hundred and seventy crore) and purchase figure of Rs. 1,53,07,64,194.24/- (Rupees one hundred fifty three crores seven lakhs sixty-four thousand one hundred ninety four and twenty- four paisa only)documents attached below, and never submitted the Income Tax Returns after the financial year 2015-2016 and has no records of the stock in hand of than Rs. 14 Cr. The sales tax returns was recorded to be of Rs1 lakh of sales in one month and the directors paid 10 to 11 lakhs of interest to the bank .It clearly shows that this is a case of money laundering by the directors of M .R. Roller Flour Mill Pvt Ltd.
Imphal Times also found that Proprietor of the MR Roller Flour Mill have over Rs. 200 crore worth property across the country. One is at Jaipur where his son Rahul Jain is presently staying. Police said that they are in the process to arrest Rahul Jain too. Large number of Students today stormed the residence of Pro VC K Yugindro today afternoon denouncing his anticipation to the MHRD which term the agitator at Manipur University as Terrorist. The students were halted by a police team near his residence at Thangapat. The students confronted the police team for few minutes. In return to the police firing the students pelted stones towards the police team. The students were still near the residence of Pro VC Prof. Yugindro till the filing of this story. Mention may be made that Pro VC Yugindro’s appointment as Pro VC has been challenged at the Manipur High Court as the appointment was done in violation of the Manipur University Act 2005. The State Level Archery Competition 2018 organised by 6 Assam Rifles at its Keithelmanbi Garrison came to an end today. The 3-Day Archery Competition began on October 4, 2018. The closing function was attended by Maj. Gen. KP Singh, YSM, Inspector General IGAR (S) as the Chief Guest. Bachaspatimayum Chaoba Sharma, who was recently felicitated by the Hon’ble Governor of Manipur with “Governor’s Innovation Award” on October 3, 2018 graced the function as Guest of Honour. Brig. Amit Kabthiyal, SM, Cdt. 9 Sect. Assam Rifles was also present at today’s function. The Competition was held on three events, Indian-50 mtrs, Compound-50 mtrs and Recurve-70 mtrs. More than 100 archers from 16 clubs participated in the events. In the finals Indian event, C. Divya, P Sonia and M Aruna Devi bagged the gold, silver and bronze in the Girls category. Ch. Boris, S. Rustam and K Arnold Singh stood First, Second and Third position, in the Indian event-boys. Sh. Monorama, M. Rupam Devi and L. Dulina Devi for Compound event-Girls, S. Ramakanta Sharma, S. Rajendro and M Vikram Singh for Compound event-Boys bagged Gold, Silver and Bronze respectively. The medals to the winners for the Indian and Compound events were honoured by the Chief Guest, Maj. Gen. KP Singh, YSM, Inspector General IGAR (S). In the Recurve event for 70 mtrs-Girls, Th. Sanai, Y. Anupama Devi and Ksh Manglemsana and Kh. Rohit, Md. Aman Ali and AK Amarjit Singh in the boys category stood First, Second and Third position. Medals to the winners of the category were honoured by Guest of Honour Shri Bachaspatimayum Chaoba Sharma. Students and parents of Assam Rifles School were also present at the Closing Function. A person with license gun was held by court security near the gate of the session Judge courtroom Imphal West today morning at around 11.30 am. Report said that the person identified as Ngangbam Inaocha from Koirengei was found standing outside the court room waiting for a witness appearing in the courtrrom in connection with a case. The security after noticing the person with the gun detained him for minutes. As per report the person identified himself as advisor to the Chief Minister. He was later handed over to a police team. Whether the person has been arrested or taken any case could not be ascertained till the filing of this report. Mention may be made that even police personnel are not allowed to carry weapons of any kind allotted to them while entering the court room. Education Minister Thokchom Radheshyam said that beautiful mind can inspire success in life. He said that a person can achieve success if one has a beautiful mind inspiring not only oneself but also the others, through a positive approach. The Minister was speaking at the two day Confluence, 2018 with a theme ‘Inspire & Get Inspire’ organised in collaboration with Department of Education (S) by Lamjing Meira at City Convention, Palace Compound. Th. Radheshyam expressed that one may choose any profession or career as their goal in life but what is important is to performed in the best and distinct way and also added that, no profession is neither low nor high. Interacting with the students, the Minister said that time management, identifying and learning to prioritise issues and problems, becoming a good communicator and to be considerate towards others are some of the qualities that young mind should learn to nurture and inculcate to become a successful person. Further, he explained that knowledge, skill and deeper understanding of the issue are also important to become successful. Highlighting the important values and struggle faced in the Medical Profession, Retired Professor, Gynaecology Department, RIMS, Ch. Manglem said that the most important quality is to have patience and perseverance. He added that medical profession being directly related with the responsibility of human life, the students who dreams to be in this profession should have endurance and tolerance. The students, he said that should have the ability to convince and explain each and every bit of medical terms and condition arising in any situation to common people. Chief Editor, Imphal Free Press, Pradip Phanjoubam, resource persons, officials of Department of Education (S), teachers and students attended the confluence. Integrated Mega Tourist Circuit Management Committee (IMTCMC) organised a One Day Social Service Camp at Khongjom War Memorial Complex today. Publicity & Information Secy S.Jayedeba of the IMTCMC while speaking to reporters said that the committee has so far conducted social service camp to clean the site for the third time. He further stated that it was under the initiative of MLA Paonam Brojen Singh that the committee manage to keep a watchman with the person of the Thoubal DC to keep the site clean for attraction of Tourist. He also assures to conduct social service at the Khongjom Mega Tourist Center every month. The District Election Officer/DC Haobam Roshita of Thoubal today launched a Poster Campaign at Ima Keithel Thoubal in connection with Systematic Voters’ Education and Electoral Participation (SVEEP). Students from various institutes of Thoubal area, such as the Waikhom Mani Girls College and Chouyaima Higher Secondary School among others participated in the Poster Campaign. Speaking at the Function, DEO of Thoubal Haobam Roshita, said the main aim of this campaign is to create awareness among the public about the importance of for full participation in the electoral process for systematic and qualitative changes. ADM, Thoubal L.Radhakanta appealed to all the people to come out in large number and registered their names in the electoral rolls, and then make sure to fully participate in the electoral process for better development of the state. ERO, Ng.Binita Devi, Superintendent of Police Thoubal, Gautam Singh, Government officials of Thoubal, students, school teachers, staffs of DC office, were among those who attended the programme. The people of the state took a giant leap of faith during the last state assembly election by electing enough representatives of the BJP which emerged as the most promising alternative, to ensure that the then incumbent government is shaken out of their self-induced reverie and increasingly whimsical manner of governance. The chest thumping declarations, speeches and projections of progress as well as the incredible feats of showmanship displayed by the national leaders during the keenly contested campaigns helped in no small measure in convincing the voters of the approaching ‘good days’. More than anything, it was an exercise in effecting change and in doing so have proven beyond any shred of doubt that in this time and age, it will not be possible to fool the informed people who have started to vocalize and express their concerns and opinions more openly and succinctly. It was also a message that the people will no longer wait for the promised change but will take matters into their hands and will not tolerate inordinate delays. The message of the mass to the leaders of the state could not have been clearer- or one would have wished so. After an initial dream run, things have started falling in the same old rhythm of bandhs, blockades, strikes and shutdowns, the latest and the most serious one being the hardening standoff at Manipur University which has crossed 100 days of disruptions and is well and truly set not only continue but also to spill over and affect the state as a whole. What started as a protest against alleged irregularities has now assumed a more virulent and far-reaching dimension, and going by the clippings and updates circulating in various social media platforms, what should have been a case of maladministration and mismanagement have turned into a personal attack on an individual who have shown increasing defiance of the concerns and efforts of not only the staffs and students of the university but also the state government as well as the MHRD. Why has the whole exercise emerging as a form of witch-hunt against AP Pandey? How did the highest seat of learning in the state crumbled to such a woeful position? Has the evidently vigilant and ever watchful students, teachers and staffs failed or rather hesitated in raising the red flag at the right time, and why? What made the Chief Minister of Manipur who have the moral obligation to spearhead efforts to find an amicable and lasting solution to the ongoing issue acting uncharacteristically restrained and subdued, evidently focused on damage control exercises rather than taking proactive measures to bring closure to the increasingly virulent and rapidly widening problem? Why has a set of students started demanding separate university thereby compounding the problem and further threatening the already vitiated law and order situation in the state by announcing blockades? Is Pandey the first and only head of Manipur University who have indulged in maladministration and willful mismanagement for personal interests? Is there absolutely no other alternative or means to continue the agitation without disturbing the academic proceedings in the interest of thousands of students whose future are at stake? - uncomfortable questions whose answers will ultimately reveal the absolute truth and thereby a way out of the present quandary. The woe of recent flood triggered me an idea of possible alternatives to avoid or mitigate the recurrent of the same difficulties in future. As we know, there are multifold factors and causes of such frequent water worries in Manipur. They are unattended deforestation in the catchments, anarchical drainage system, chaotic residential occupation, mindless garbage dumping into the rivers, discriminatory Ithai barrage and Loktak Project. On top of this the tragic burial of Pats/lakes and wetlands in and around Imphal is crucial. This could be postulated on the two grounds. First, decades ago Manipur valley was dwelled by many wetlands and we may give back them some. Second, we desire to leave our frayed and un-rectifiable dens of Imphal and the Leikais of the other towns. Although restoring the Pats to their former form, appears kind of difficulty at the moment, still there will be better side of trade off. Because it will help to resurface natural flora and fauna, and can lower the global warming effect in Manipur. The aesthetic landscape of Manipur will be elevated in some ways, economic beneficial will also come along. New Residential Shift: In the earlier years of mine, whenever I was travelling along the Tiddim Road from Imphal to my village, I was always lost in the thought, looking from the bus window at western side of valley I saw something new and different. There are really beautiful spaces in the green and fresh air foothills of Manipur. The location is not only lovely in scenic landscape but much ideal for compounding reasons for residential settlements. In a nutshell, this will be a better endeavor for socio economic political alternative. The provincial Government of Manipur is always in the principal position to extend a committing help to the new minds in transforming the foothills to a sustainable and environment friendly residential settlements. All around the valley, there are plenty of such sites which can also be reconciled by streams for water supply and fertile soil for kitchen garden. Sovereign Livelihood: For this project philosophy, the Government is crucially desired to allocate land to group or community. One of the foremost beautiful segment of this design is to restore the sovereignty of self-sustained livelihood and make it operational in the world of 21st century. A different and meaningful live in a community setting where social harmony prevails, organic healthy food are not bought from the outside and maximum clean energy generates within independently. The sewage will be managed in low scale volume as it will be converted into the source of biogas for electricity and other useful purposes. A gas plant will be installed for each household or groupwise towards producing electricity and cooking gas. Solar energy installation and micro hydel power plants can be very functional for the village. It will be independent at the maximum in terms food, water and power. Family and Community: The families and individuals who are taking into account the prevailing difficulties and very much willing to avoid the existing inconvenience, can be part of this new idea and be members of this new model village. Their understanding and volunteerism will be of great help in shifting to a new environment. The community in this village may be at the average of thirty families and can include some single individuals. Should be a village of multi ethnic community. Therefore, mandatory to include Meetei, Naga, Kuki, Pangal and others. Any religious family or individual can be in the community. They can entertain liberty to go to and join the religious ceremonies and occasions outside the village anytime anywhere. There will be no public shrine, church, mosque and temple in the village. However a community centre will be to provide space for occasional social events. The family rituals and prayers should be restricted to their respective houses without undesirable effect to their neighbors. Housing and Farming: The shape of the village can be a linear cluster of the houses with about one kilometer in width. It may be so for administrative and other functional convenience. Each family can build their own house with a minimum and convenient budget yet scientific, hygienic and lovely one. They can accomplish it with a fair share and the support from the Government’s schemes. The assistant can be in the form of either housing materials or monetary kind. Each family is going to commit to kitchen garden farming for maximum food sovereignty. Therefore they have to own an ideal land space. The farming will include seasonal vegetables, corns, cereals, fruits, other life stock of fowls, dairy especially indigenous breed. There can be as big as medium size farming towards extensive purposes for individuals and groups’ economic activities. The vegetables and other plants will be grown nearby, in and around the family houses. For animal husbandry, it may be set out at a reasonable distance, at the fringe of the village in order to avoid smelly disturbances and unhygienic contacts. Education: The families of the village will be in need of a good education input for their young hearts and minds in such fresh village lifestyle. The Government has to extend infrastructural supports at least for elementary and middle schools, equip them with productive teachers. Interested individuals but qualified ones from the community can volunteer in teaching the children as well. The community members can also extend voluntary in designing learning curriculum for children. Transport and communication: An unbumpy approach road free from dust and pot-holes, and flanked with cycle way and footpath is required to stretch from the main roads to the village. Also there will be one inter village road to connect the model villages one another. A public transport set up at least with a bus in tuning with timely frequency will be plying up and down. Since the Government has got reasonable fund and budget for such purposes they must take the responsibility. The community also will use the private cars at the least and optimize the cycling and walking. In the beginning for trial experience, about five villages can be set up. Once the villages are in places and run accordingly then hundreds will be followed in no time. 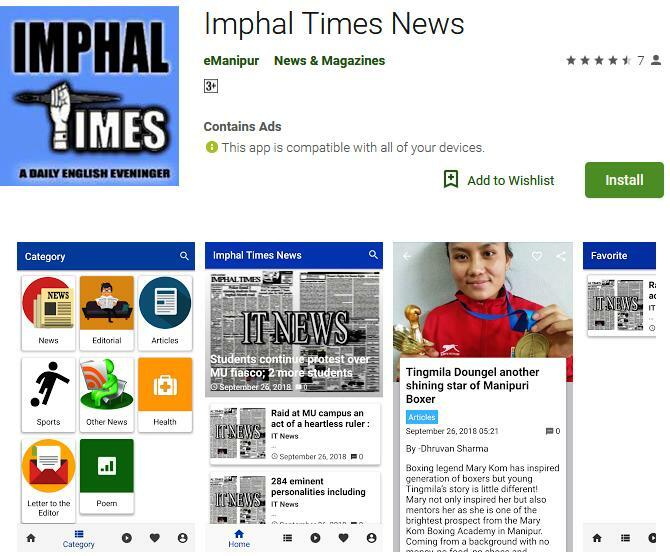 Because such is Manipur to copy new things. This could also be an ideal aspect for meaningful tourism in Manipur. This model village will yield home-stay facility for tourists from within and outside. Again, in order to make a meaningful accomplishment a good few supports and assistance from the Government and relevant experts are prerequisite. Best and healthiest farming methodologies, effective maintenance of sewage and drainage technology are much beneficial.